With over 30 years of experience, Quicksilver is one of the premier removal & storage companies in the North East. Serving the area of Stocksfield, we are able to provide our services to a wide radius surrounding Newcastle. If you are searching for a reliable and professional removal company, then Quicksilver will be the perfect choice for you. As a member of the BAR (British Association of Removers), we ensure that every staff member adheres to strict regulations and guidelines, in order to make certain that every job is done to the high standards we expect. For more information on our Removal Companies Stocksfield service, please call the office today on 0191 264 6677. Residential Moves: Whether you’re looking to move from a large house or an apartment, we can accommodate to this with our variety of different removal vehicles. 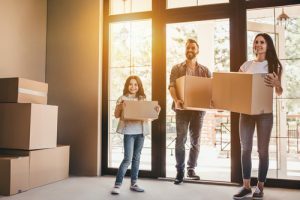 We understand the stress of moving to a new house and therefore offer a stress-free and reliable service to all homeowners. Whether your move is regional, national or international, Quicksilver can help you move to the new property with ease. Residential Storage: During the move, you may want to put your items away in storage in order to make the process easier. You may also want to de-clutter your home and store your items away for long periods of time, whereby you have the access to take items out of storage whenever you wish – you just have to speak to one of our storage team. Commercial Moves: For those looking for an office relocation service, Quicksilver is ready to help. We have completed many different business moves throughout the commercial and public service sectors. We are also specialists in working with technology and office equipment so are able to move and store all of these carefully and securely. Our relocation services extend to offices, hospitals, charities and many other commercial areas. Commercial Storage: Similar to residential storage, except we ensure all IT equipment and office items are taken care of by our specialist, expert team. This service is commonly used by businesses that are taking longer to move into their new premises as it means there are fewer items that need to be moved in a rush. Document Management: Within our commercial storage service we also offer a form of document management. If you are trying to achieve a paperless office then our document storage service will be for you. We can manage and store your archive your documents within our safe and secure location. You will also have easy access to the documents if you ever need to retrieve them in the future. Box Store: If you require any packing materials then we can help with that too. Our box store has a variety of packing materials available such as boxes, tape, bubble wrap and many other materials that will allow you to pack up your personal belongings securely, ready for the move. Our packing materials are also cheaper if you are moving with Quicksilver! Quicksilver aim to provide each and every customer with a high-quality removals service within both commercial and residential moves. If you are looking for a premier removal company in the nearby Stocksfield area then perhaps consider Quicksilver. On the day of the move, our experienced team will come out to your property, ready to load all of your belongings onto the Quicksilver lorry. They will then transport these items to the new house and unload all of the boxes so that you can finally settle in. If you ever have any questions during the day in regards to the move, the removals team will be happy to help you out.